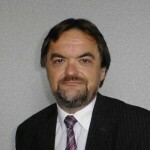 Mike is a Fellow of the Chartered Insurance Institute, Chartered Insurance Practitioner and Accredited Mediator and has been settling insurance disputes for over 40 years. His broad range of experience working for well-known insurers, brokers, loss adjusters; and as a consultant to claimant and defendant solicitors has given him an all-round appreciation of the insurance claims process from a completely unbiased and independent perspective. Within the legal process his experience includes being a lay representative advocate in the small claims court, giving evidence in person as an expert witness in the County and Crown Court as well as supervising insurance claims right up to the Supreme Court. He qualified as a mediator with the London School of Mediation in 2008 and set up a panel of mediators approved by the Civil Mediation Council later that year. Soon afterwards he was invited to join a working party that presented to the Ministry of Justice on the opportunities for mediation within the fast track/Portal procedure. As a mediator he deals with a variety of matters that bring him into personal contact with legal professionals representing their client’s interests as well as unrepresented parties who may have personal disputes or complaints where they believe they are simply not being listened to. He understands that emotions often run high and as a mediator offers a calming pragmatic approach with excellent communication skills. He has a flair for finding the common ground. In his experience mediation has facilitated the resolution of the seemingly unsolvable. Key to this is providing a relaxed environment in which to listen to what people actually say. As a skilled negotiator he prepares thoroughly and understands the importance of ensuring all participants feel involved. He offers a positive approach whilst steering the process towards a solution everyone finds acceptable. Recent mediations include landlord/tenant retained deposit disputes, workplace, underground works, shareholding/equity, family inheritance and domestic property damage. “Mike has demonstrated an exceptional ability to drive change at the highest level of organisations. He is passionate about mediation and has taken part in consultations relating to the development of ADR during which he has made sound observations from his industry perspective. I will be forever grateful to Mike. He is very knowledgeable about legal and insurance related matters and an excellent mediator”. “I have always found Mike to be a conscientious professional with detailed knowledge who shows attention to detail in his work”. Mike’s clients include Royal Mail, National Grid, Aviva, and a number of London market insurers as well as law firms throughout the UK.